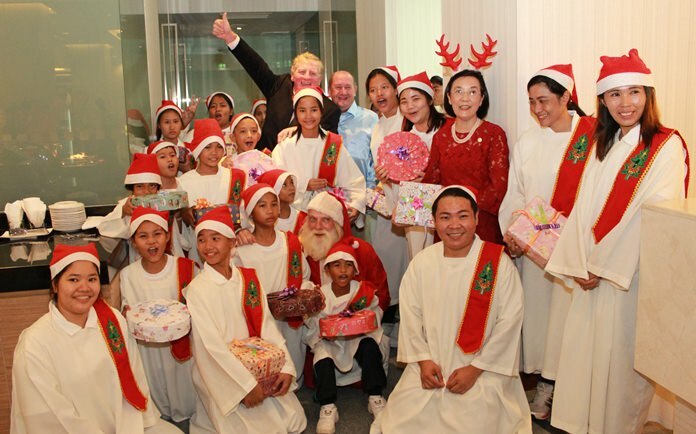 Maurice Roberts, president of the PSC waves as Khun Toy and Santa Claus pose for a group photo with the teachers and residents of the Pattaya Orphanage. 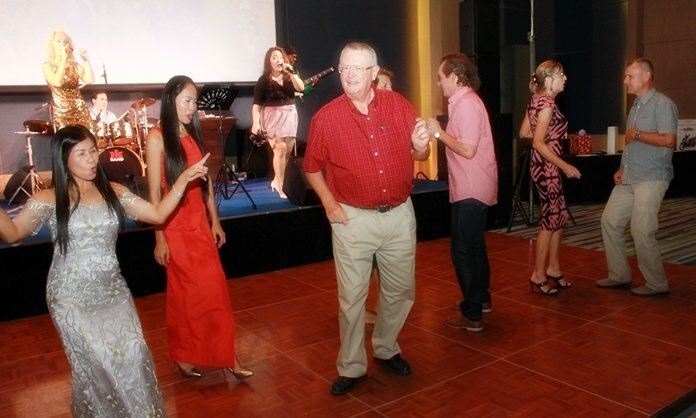 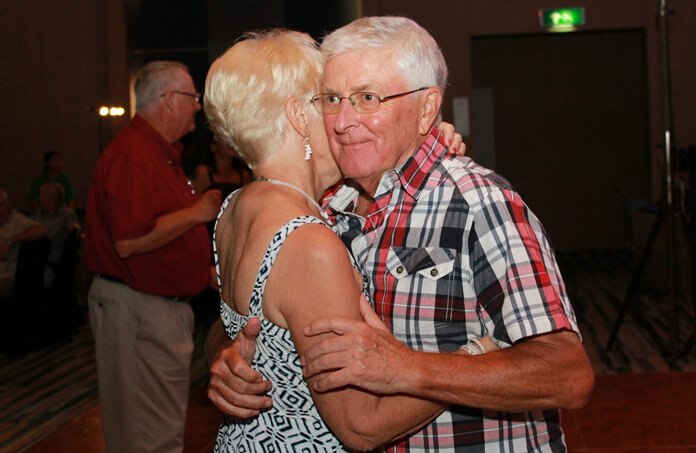 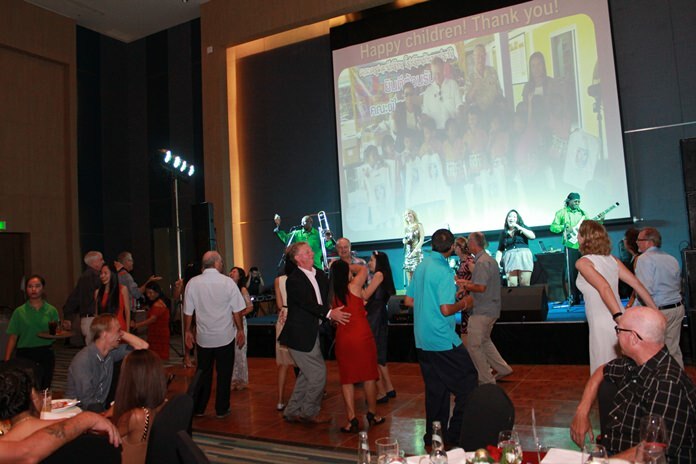 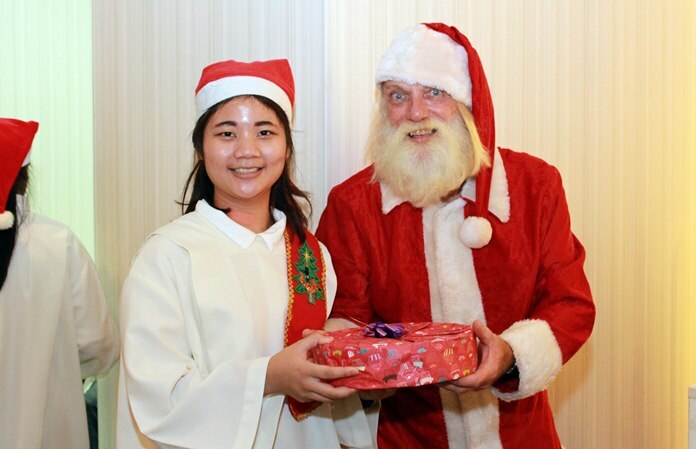 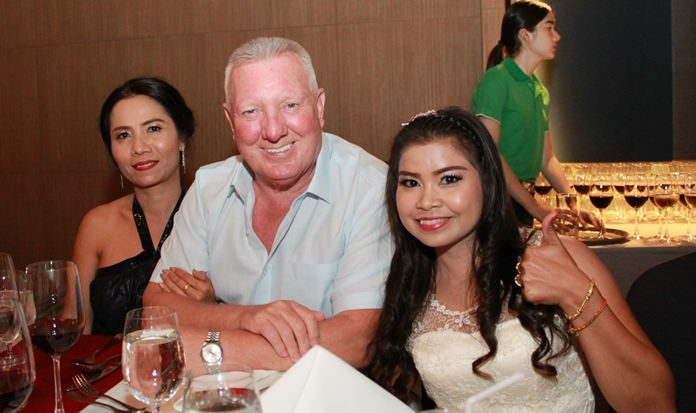 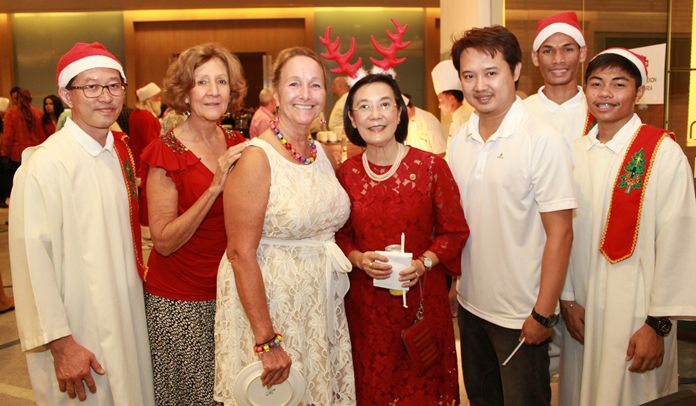 More than 350 people celebrated the holidays and raised money for charity at the Pattaya Sports Club Christmas Party. 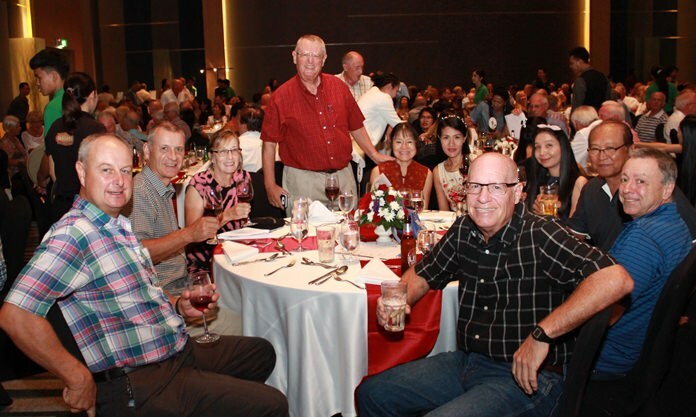 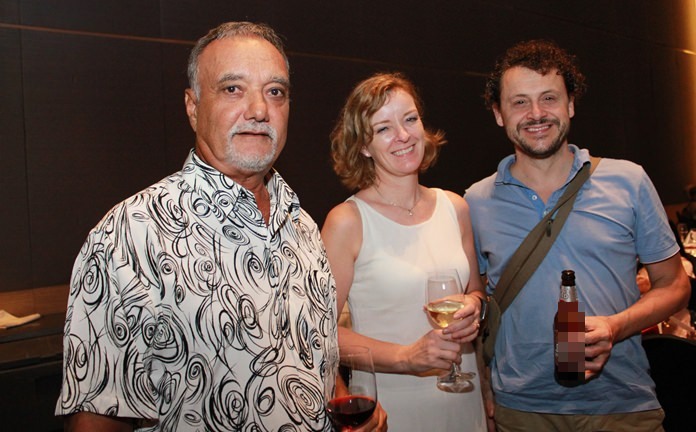 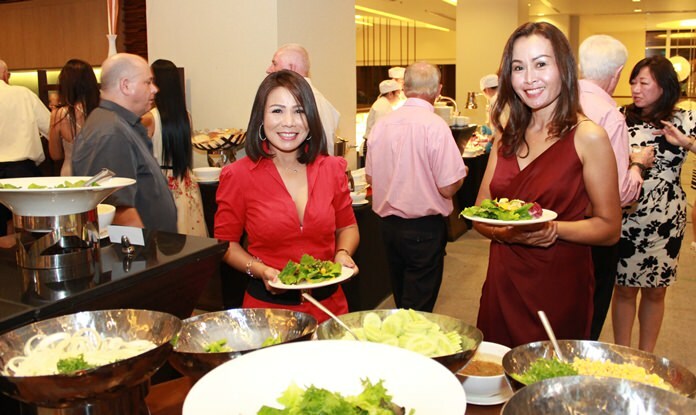 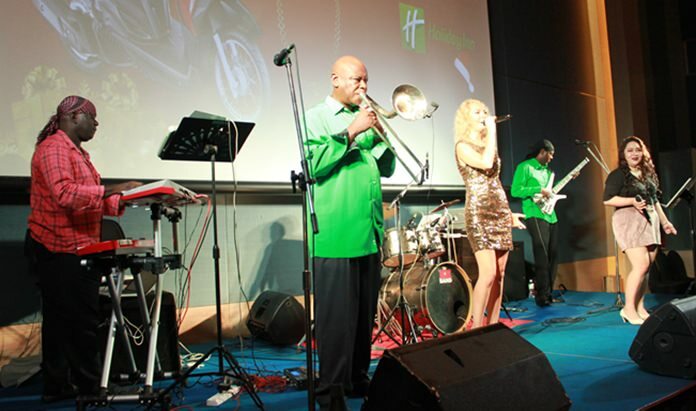 PSC President Maurice Roberts welcomed everyone to the Dec. 13 bash at the Holiday Inn Pattaya, which featured a large buffet and a minimum of speeches to keep the evening’s mood light. 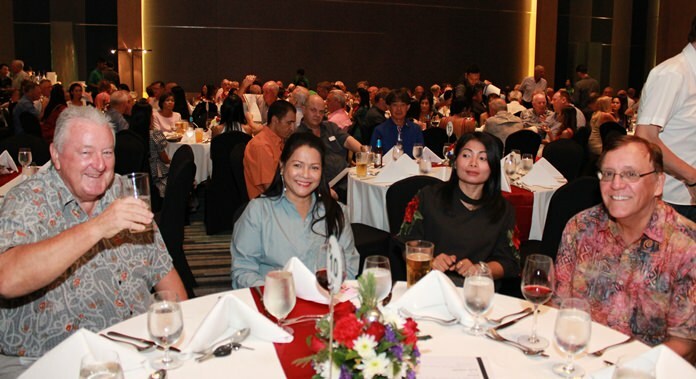 Roberts briefly summed up the year’s accomplishments and provided updates on upcoming activities. 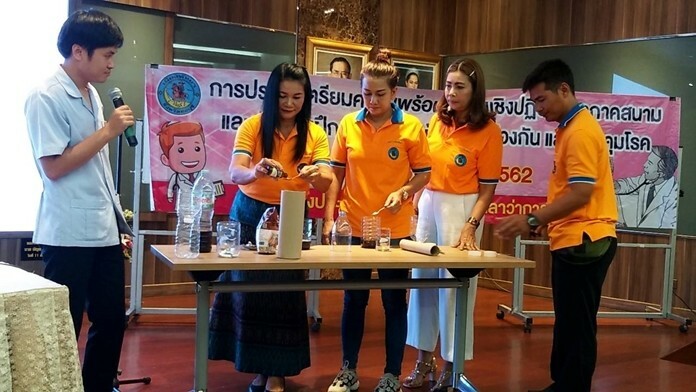 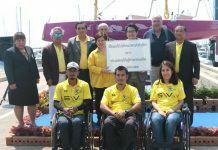 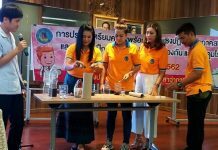 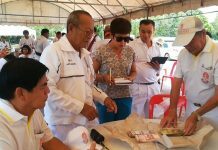 The registered committee of the Pattaya Sports Club Association led by President Jaroon Kasemsantithum, Sopin Thappajug, Nittaya Patimasongkroh and Founding member and past president Peter Malhotra were also seen at the festivities. 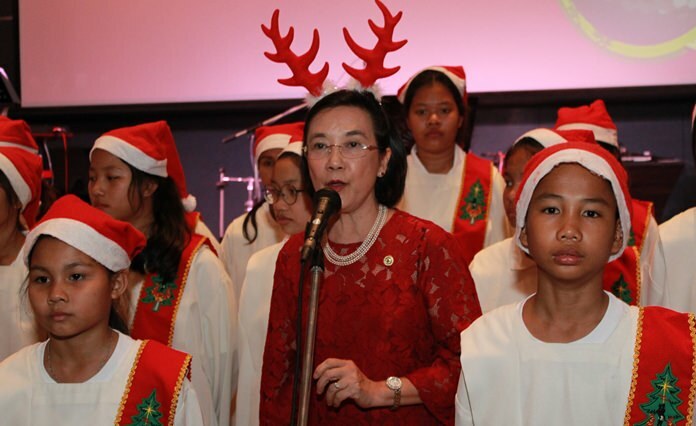 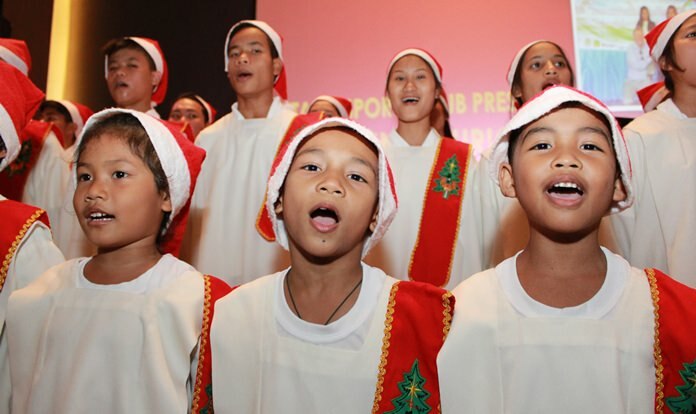 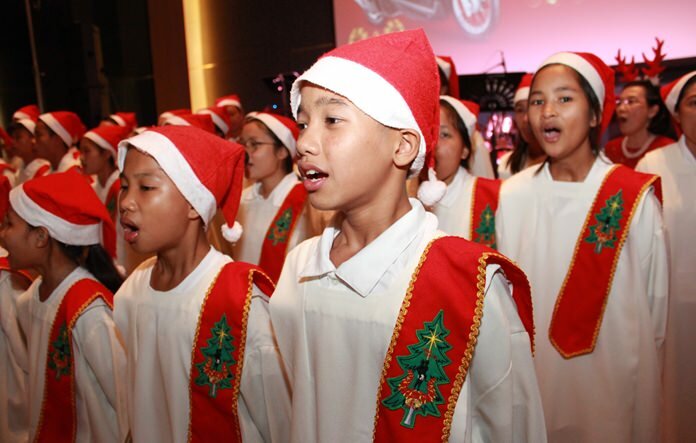 Children from Human Help Network Thailand, led by Santa Claus and HHN Director Radchada Chomjinda, kicked off the entertainment with a variety of Christmas carols that got everyone in the mood. 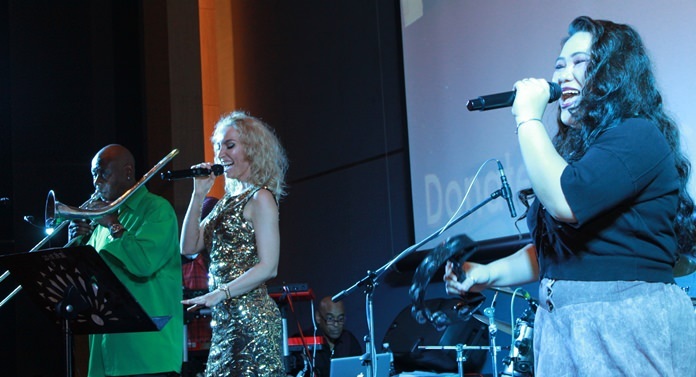 A live band picked up where the kids left off. 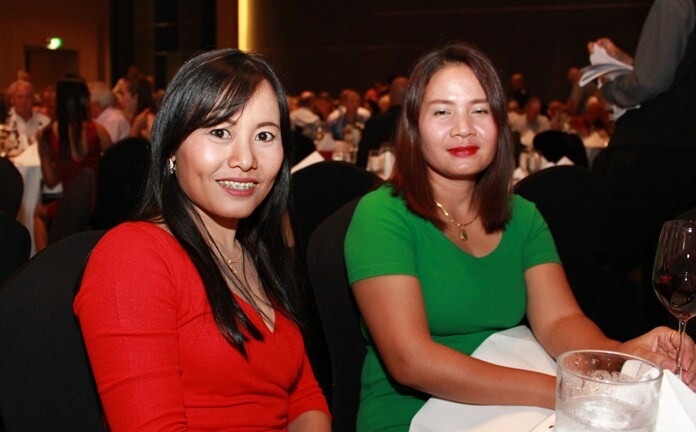 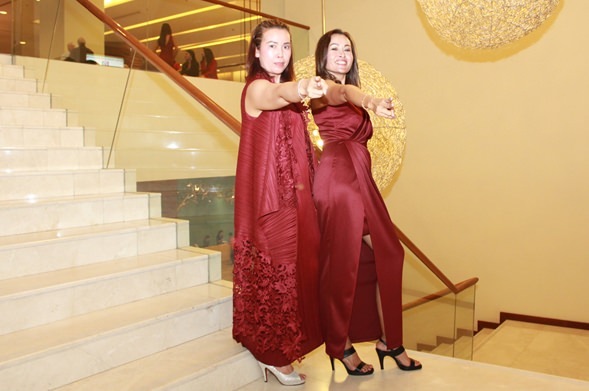 The finale of the evening was the lucky draw, which included top prizes of two gold necklaces and a Honda motorbike. 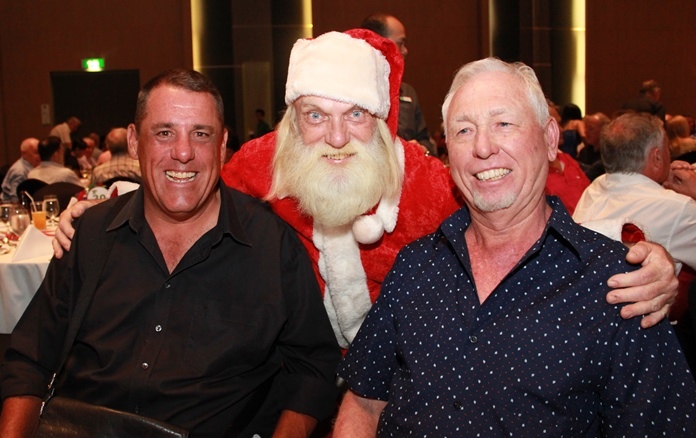 A big thank you to PSC Paul Cornwell for organising a most enjoyable Christmas party. 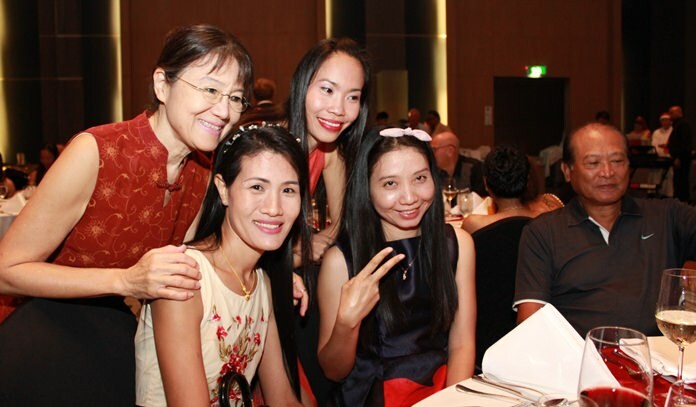 Radchada Chomjinda ‘Toy’ and her family are thrilled to see Rosanne Diamente again after such a long time. 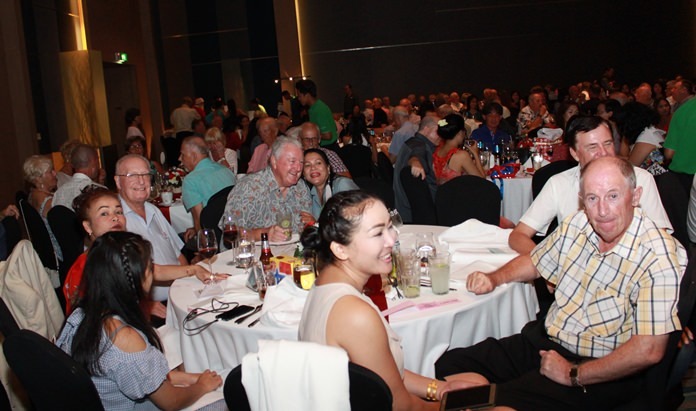 Later that evening Rosanne won the motorbike in the lucky draw, which was donated towards another charity fund-raiser no doubt. 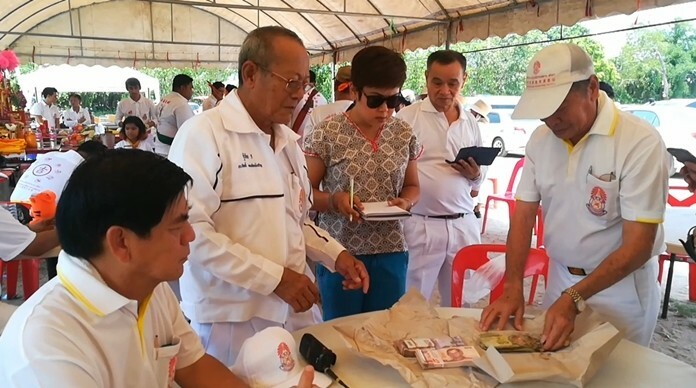 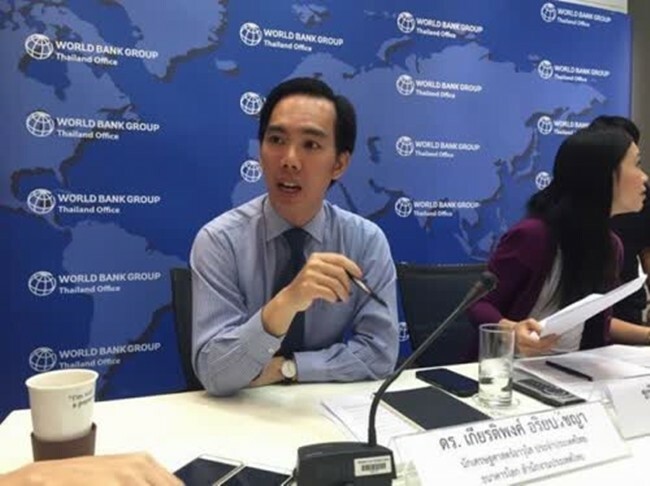 Maurice Roberts (2nd left) PSC president poses with Peter Malhotra, Noi Emerson, Nittaya Patimasongkroh, Sopin Thappajug, Jaroon Kasemsantithum, Jackie and La Montgomery. 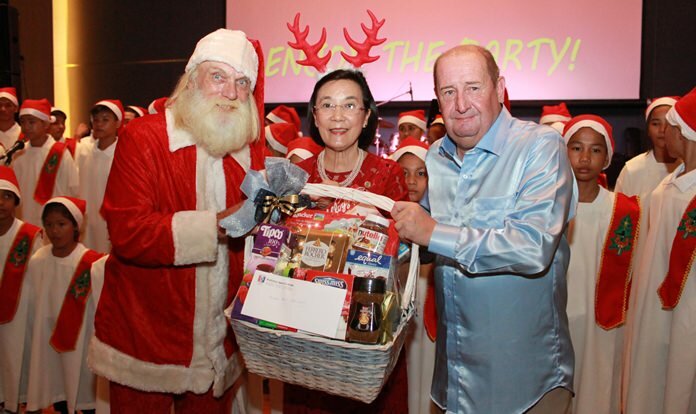 Khun Toy receives a gift hamper from the Pattaya Sports Club as a sign of appreciation and love for the noble work that she does for the children. 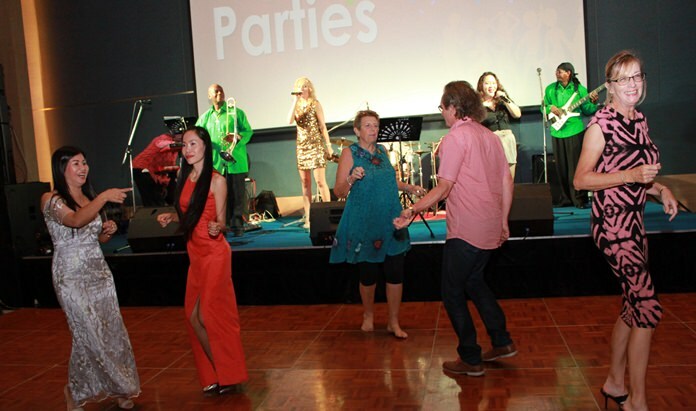 It is always fun, fun, fun at PSC parties.